To celebrate National Apprenticeship Week, Minster FM’s Ricky Durkin joined the team at PureNet to test his development and marketing skills. On Monday 14th March 2016 Minster FM’s Ricky Durkin traded his microphone for a mouse mat to support National Apprenticeship Week. The radio host headed to ecommerce development company PureNet, based at York Business Park, Poppleton, to step into the shoes of an apprentice for a day. As part of his challenge, he was tasked with developing and designing his very own custom-built website. After introductions with a team of Developers, Designers and Marketers, Ricky had a hands-on tutorial on the basics of photography and design. After completing the page design Ricky began working with the Development team to He then joined the Testing team to perform the final checks before launching his own site, minsterfm.purenet.co.uk. Post site-launch, Ricky partnered with PureNet’s marketing team, Agency51, to discuss the many methods of digitally marketing a new website. 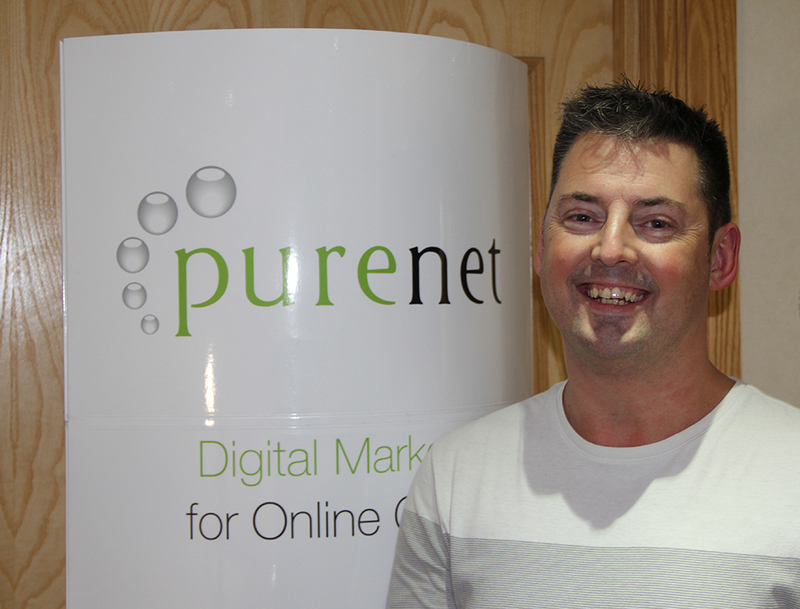 Ricky said of his learning experience: “I’ve thoroughly enjoyed my time at PureNet and learned so much. PureNet CEO Dr Paul M. Gibson said: “We were delighted to welcome Ricky to the PureNet team. Ricky absolutely excelled on the day; we had lots of fun taking Ricky through an example website project and the end result showcases his newly learned design, development, testing and marketing skills. I think we can all agree #putadjtoworkweek has been a huge success!